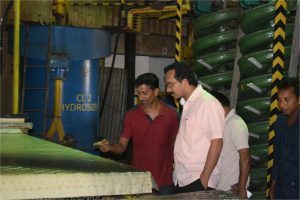 Parliamentarian of the JVP and Chairman of the Committee on Public Enterprises (COPE) Sunil Handunneththi has joined a tour to government owned Lanka Mineral Sands Ltd at Pulmoddai. 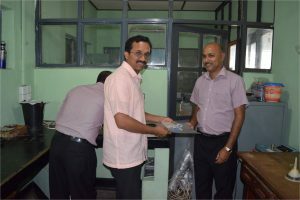 Lanka Mineral Sands Ltd. is a company fully owned by the Government and the functions of the company are to do mining, processing and exporting of heavy mineral beach sands. 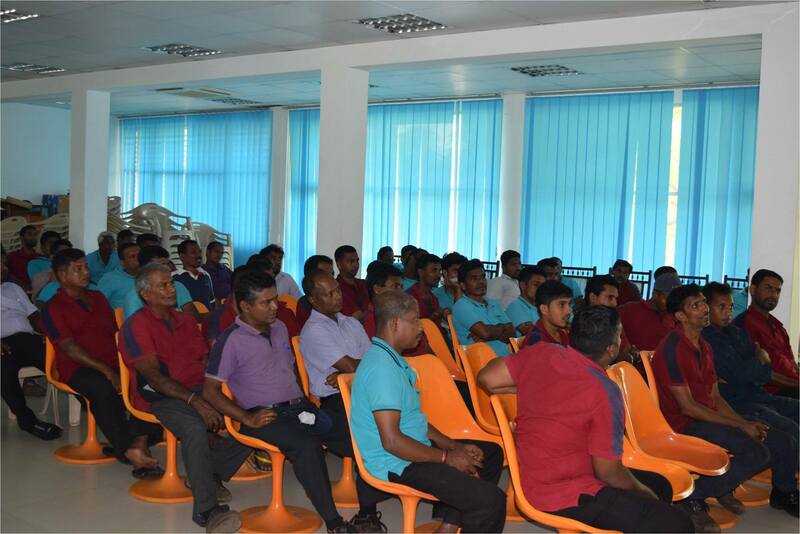 Mr. Handunneththi also had a discussion with the branch of the Inter Company employees Union in the company. A budget of a government is an indicator of what the government conceives about the people and what its plans are. 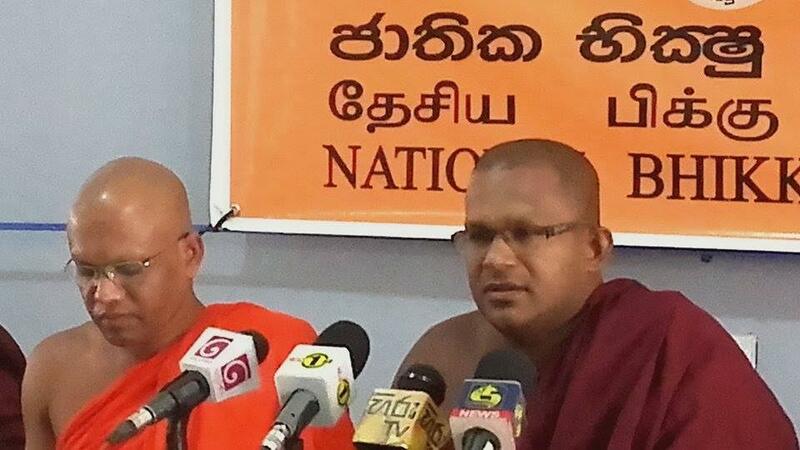 However, the budget presented in Parliament yesterday (10th) by the Minister of Finance is a door open for selling and one in which the future is vague states a press release issued by the National Bhikku Front. The press release states, “The budget presented in Parliament yesterday (10th) by the Minister of Finance is a door open for selling and one in which the future is vague. A budget of a government is an indicator of what the government conceives about the people and what its plans are. A country needs a government not to play the role of a property auctioneer but a government that understands Ven Mahinda Thera’s advice, “O king you are only the caretaker, not the owner” and carry out an administration that intends building the living conditions of the people in every aspect. In that perspective the direction the present government points out is that it engages in a move to gradually leave the process of manipulating the economy and hand it over to a class of local and foreign traders. In the present budget the direction to sell education is clearly obvious. Even before the budget was presented the National Bhikku Front and various groups in the country criticized the current alliance government that it was entertaining the idea of selling not only education and health but also valuable assets such as harbours, hotels, petroleum sections and lands. The budget indicates nothing but what we have said. The controversial statement made by President Maithripala Sirisena regarding the Bribery Commission, FCID and the CID Mrs. Dilrukshi Wickremesingeh, who wss the Director General of the Bribery Commission resigned from the post and President’s Counsel Sarath Jayamanne was appointed to fill the vacancy. Mr. Sarath Jayamanne joined the Attorney General’s Department and during his tenure of 28 years in the Department he received promotions and was finally promoted as the Solicitor General. A graduate of Sri Jayawardenepura University and a post-graduate of Oxford University Mr. Jayamanne has been a lecturer at Colombo University, Open University as well as the Laws College. He has represented the Attorney General in several controversial cases. He lead the prosecution representing the attorney General in many cases including on the murder of Avududhu beauty queen at Kobaigane, murder of rugby player Tony Martin, murder of High Court Judge Sarath Ambepitiya, murder of six persons at Hokandara, disappearance of school children at Ambilipitiya. The JVP presented a set of proposals to the government after COPE report was released demanding that they should be implemented immediately. We produce here the full text of the JVP press release. As soon as the present UNP – SLFP partnership government was formed Prime Minister’s friend Arjun Mahendran was appointed the Governor of Central Bank and on 27th February, 2015 a large scale fraud was committed when issuing Central Bank bonds. The government incurred a massive loss of revenue. The main demand of the mandate received after defeating Mahinda Rajapaksa regime on 8th January, 2015 was an end to frauds and corruption and take legal action against fraudsters and the corrupt. However, even before the warmth of the victory faded a large scale financial fraud was committed kicking out the mandate received. It was the JVP that revealed the fraud to the country as soon as it was committed. 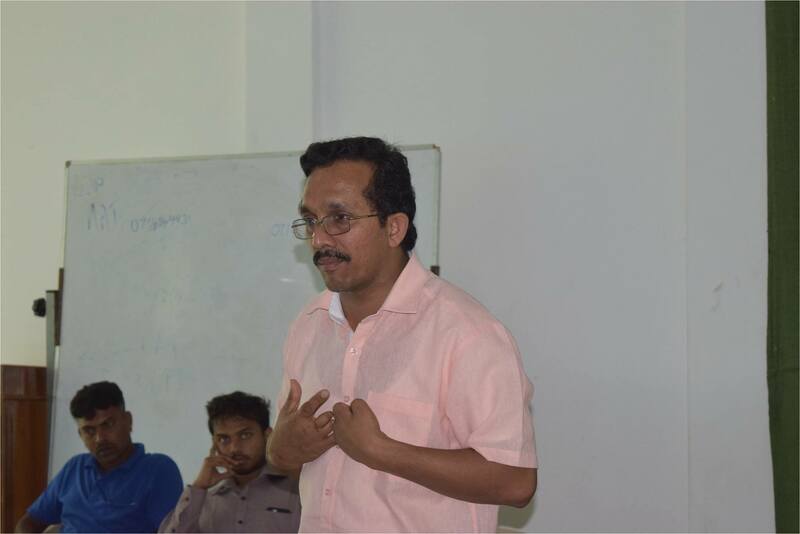 Without stopping at that the JVP asked for an immediate investigation regarding the fraud and to remove the Governor from the post, at least temporarily, to allow an impartial investigation to be carried out. However, the government did not listen to any such proposal. Although the government, specially the Prime Minister, attempted to sweep the issue under the carpet, as a result of the Committee on Public Enterprises (COPE) taking over the investigation prevented the fraud being shelved. It is no secret that once the investigations and inquiries carried out by COPE on the Central Bank bond scam were completed and when the final report was to be compiled the UNP members in the committee attempted to weaken the report. Once the attempt failed they continue to make various statements and meanwhile the government is neglecting to take any action regarding the recommendations. What they are attempting to do is to put the responsibility of the fraud on officials and save the government and the Prime Minister from the responsibility. • Not taking any action against Mr. Arjun Mahendran even after COPE report confirmed that a fraud was committed in the bond transaction, it incurred a massive loss to the government and the governor and certain officials in Central Bank are connected to the scam and points mentioned above indicate that the Prime Minister cannot shy away from the responsibility of the scam. In such a situation we demand the government to stop making false statements but implement recommendations of the COPE report immediately and to take measures to implement the following considering them as immediate measures. 2. Remove former Governor of Central Bank of Sri Lanka Arjun Mahendran, who has been accused of involvement in the bond scam by COPE report, from all positions he occupies in the government and the economy and not appoint him hereafter for any position in the government. 3. As there is a possibility that Perpetual Treasuries Ltd. that has gained a massive profit through the bond scam could take assets it has gained by illegal means away from the country, immediate legal measures should be taken to stop assets and funds owned by the company and all other companies affiliated to Perpetual Treasuries Ltd. from being taken away. 4. As COPE report has revealed that Perpetual Treasuries Ltd. is involved in the bond scam, it should be immediately withdrawn from the list of primary dealers of the Central Bank. 5. The officials of the Central Bank, who neglected their professional responsibilities to assist in the illegal transaction, could interfere in the investigations being carried out on the bond scam. As such they should be removed from relevant responsibilities. 6. Also, taking into consideration the COPE report presented on 9th August, 2015, a comprehensive investigation regarding frauds and irregularities that have been committed in the issue of bonds and various other financial transactions carried out throughout the past by the Central Bank should be carried out. It is reported that investigations regarding the death of a youth at UPFA Mahinda faction Parliamentarian Wimal Weerawansa’s residence are being carried out on telephone calls received from 7 mobile phones. Kaduwela Magistrate’s Court has given permission to the police to conduct their investigations on telephone calls involving the 24 year old dead youth Dissanayaka Mudiyanselage Lahiru Janith Dissanayaka who had died at Weerawansa’s residence on 26th October. The permission to investigate the 7 mobile phones was granted when police requested Court to investigate 7 telephone numbers belonging to 3 telephone networks. Kaduwela Magistrate Dhammika Hemapala has given permission and ordered the relevant telephone companies to provide data reports for investigation. Online transactions will have a tax. All importers must be registered with Customs previously, exporters can get a shipment out of the country within 24 hours. 100 items to be removed from CESS with immediate effect. tax incentive on exporting vehicles which are more than 5 years old. reduce the maximum retail price of Green gram by Rs. 15 per Kg, Dhal by Rs. 10 per Kg, Potatoes by Rs. 5 per Kg, Sprats by Rs. 5 per Kg, White Sugar by Rs. 2 per Kg, Kerosene by Rs. 5 per litre, LP Gas by Rs. 25 per 12.5 Kg domestic cylinder. VAT will not be applicable on LP Gas. Propose to maintain the price of a 400 g locally produced milk powder at Rs. 295 and 425 grm locally produced Canned fish at Rs. 125. Allocate Rs. 500 million for Lak Sathosa, Rs. 10,000 for each Laksathosa. Rs. 3,000 million to restore small reservoirs, Rs. 1,000 million to develop rural based sanitary facilities. Establishment of a disaster management center in Pelmadulla. Encourage solar energy for households with an electricity bill of more than Rs. 2,000. Allocate Rs. 1,750 million for court construction and renovation, Rs. 100 million to commercial courts in the country. Invite the legal community led by the CJ to suggest changes in the legal sector. The Inland Revenue Department to adopt REMIS. Allocate Rs. 1,500 million to construct 1,000 Seva Piyasa’s. The General Treasury to undertake a cadre review to optimize the service delivery. A committee to complaint about delivery of public services. Allocation of Rs. 150 million for the Human Performance Laboratory. Allocation of Rs. 150 million to develop Sugathadasa Stadium. Allocate Rs. 25 million to establish a Pandit Amaradeva training center. Allocate Rs. 50 million to provide Rs. 2,500 as a scholarship for novice monks each month. Allocate Rs. 25 million to rehabilitate religious places. Request to the Ceylon Tobacco Company to give Rs. 500 million Presidential Secretariat. Allocate Rs. 150 million to the police in the fight against drugs. Allocate Rs. 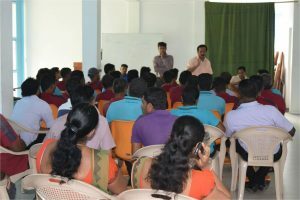 4,000 for youth Vocational training centers. Change to a contributory pension scheme and allocate Rs. 1,000 million for it. To extend the Agrahara scheme as a life time. To allocate Rs. 3,500 million for war heroes. To name Samurdhi scheme as Jana Isuru. To transfer the ownership of houses to those who have lived in government housing schemes for more than 10 years and allocate Rs. 2,000 million for it. To allocate Rs. 5,000 million for housing development in the North and Eastern Provinces. To provide housing units middle and low income earners next year, to provide 100,000 housing units each worth Rs. 5 units to middle income earners and 250 million units worth Rs. 1 million to low income earners. To create a real estate investment trust. To set up of an agency to assist falling companies and propose an allocation of Rs. 10 million for this. To introduce amendments to debt recovery system. To introduce new schemes to cover pyramid schemes. To establish Consumer Financial Protection Authority (CFPA). To allocate CPC and LIOC use the opportunities available in Trincomalee. Allocate Rs. 600 million to develop Trincomalee water scheme. To introduce pre paid card for the railway sector. To regulate electric cars and school vans. To allocate Rs. 150 million as loans to purchase 32 seats vans for school vans. To introduce electrics cars and allocate Rs. 200 million. Allocate Rs. 1,000 million for the MICE industry. To have feasibility studies on extending the Southern Expressway to Badulla. Customs levies on all materials needed for prototypes will be removed. Allocate Rs. 150 million to develop pharmaceutical labs. Allocate Rs. 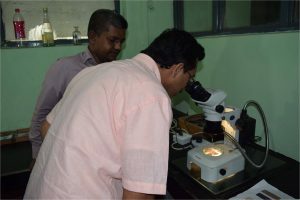 250 million to the Sri Lanka Institute of Nano Technolofgy. Allocate Rs. 1,306 million for science and technology sector. Free port anchorage of 12 hours. Mobitel will be made to go public listing. Allocate Rs. 50 million for the Department of Commerce. Encourage the private sector to invest in the expressway corridors, Allocate Rs. 1,000 million for this. Commence operations of Exim Ban and Rs. 10,000 million allocated as the initial contribution. Allocate Rs. 500 million to the IRD to UDA. Allocate Rs. 7,500 million from the Finance Ministry to the Megapolis Ministry with immediate effect. Special incentive for investments of more than Rs. 100- 500 million. Grant a Rs. 200 million capital allowances North and Rs. 100 million Uva and Eastern Provinces for businesses over USD 30 million. Allocate Rs. 750 million for loan scheme for SMEs. Streamline EPF and the Central Pension Fund. Those who are affected by a loan of Rs. 500,000 and come under the radar of the Credit Information Bureau (CRIB) will be allowed to begin businesses. Allocate Rs. 150 million to register businesses. Allocate Rs.1,000 million to establish specialized pediatric centers in Karapitiya, Jaffna and Ampara Base hospitals. Allocate Rs. 25,000 million for the Health sector. Allocate Rs. 250 million for the e- learning center at the Kelaniya University. Proposal to introduce scholarships to students who wish to attend vocational centers. Allocate Rs. 300 million for this. Allocate Rs. 10 million to fight against ragging, etc. To hand each student a sheet stating the funds spent on their education by the state. To establish private higher education institutions and establish an institute to maintain the standard of these institutions. 175, 000 Advanced Level students and 28, 000 A/L teachers to receive tablet computers. Allocate Rs. 100 million for sports in universities. To establish a scholarship for top students in universities such as Havard and MIT. Allocate Rs. 500 million to construct a 10 story building at the Karapitiya Hospital. To admit 50,000 to local universities by 2020. Allocate Rs. 2,700 million for health insurance. Allocate Rs. 175 million to increase payment to differently abled children from Rs. 50 to Rs. 150 million. To introduce regulation for private education institutes. Allocate Rs. 250 million to develop plantation schools in Kegalle and Badulla. Allocate Rs.21,000 million to develop secondary and primary schools and additional Rs. 5,000 million to develop infrastructure. To allocate Rs. 90,000 million for the education sector, which is an additional Rs. 17,840 million. Allocate Rs. 200 million to develop the irrigation sector in Polonnaruwa, Hambantota. 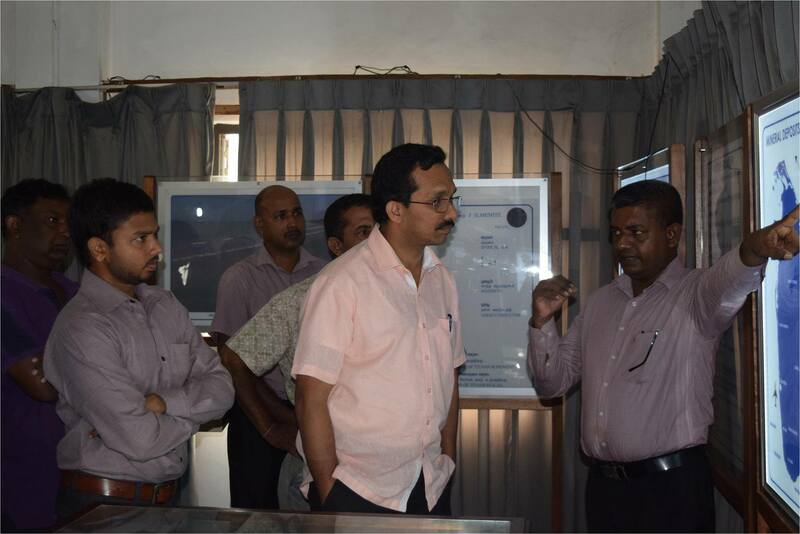 to develop 50 agro meteorological stations. Allocate Rs. 60,045 million to complete Moragahkanda and Uma Oya projects. Allocate Rs. 100 million to develop the local poultry sector. The prices of a whole chicken should be less than Rs. 420. Allocate Rs. 350 million for investors to develop 20,000 acres of land. Allocate Rs. 300 million to establish 100 fresh water villages. Allocate Rs. 1,200 for the development of fishing communities. To construct a storage facility at the Dikowita fihseries harbour. Allocate Rs. 500 million to establish fish farms in Hambantota and Mannar. To charge Rs 5,000 on one metric ton of sugar cane. 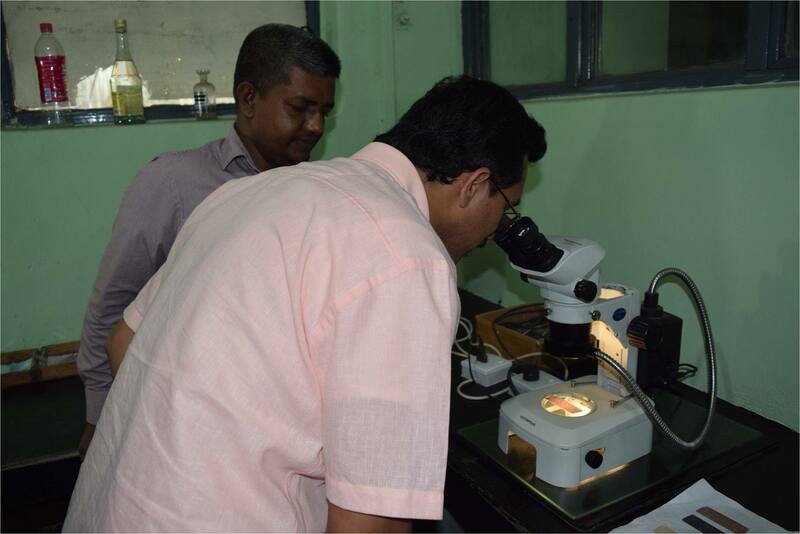 Allocate Rs.74 million to Coconut Research Institute (CRI) and Cococnut Develpment Board. To reduce taxes on machinery brought in to the country for farming, provide large scale farmers with land. Introduce a value added production system for selected fruits with a new loan scheme introduced for the purpose. Colombo Chief Magistrate Gihan Pilapitiya has been transferred as the District Court Judge of Anuradhapura by the Judicial Service Commission with effect from January 01, 2017. The Judicial Service Commission has informed media that several other judges too have been transferred and the transfers are being carried out under the annual transfer scheme. The intended transfers have been discussed in the Judicial Service Commission and all transfers that would be carried out would be announced soon states the Commission.